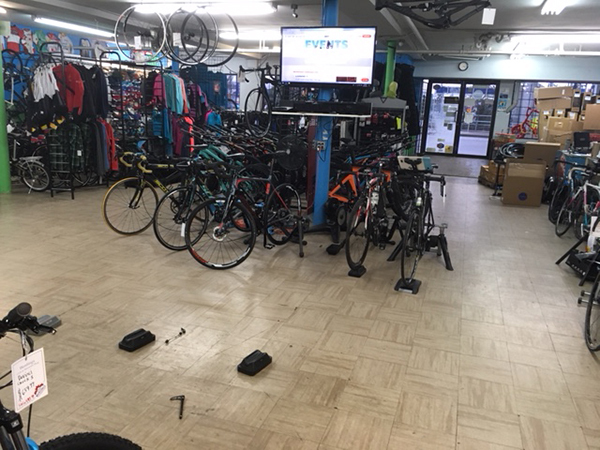 Wentings' Cycle Shop in Mission, B.C., was just selected as a Canadian Cyclist Best Bike Shop for 2018, and on Saturday, December 1st, they will celebrate 40 years in business - congratulations to Bruce Wenting and family! In the fall of 1978 the Wenting family was approached by Jack and Joan Carson regarding the opportunity of purchasing their small bike shop Planet Earth Cycles. Bill and Peg considered it and the deal was finalized with their oldest son Doug moving over from the Abbotsford Cycle Center where he had been wrenching and selling. 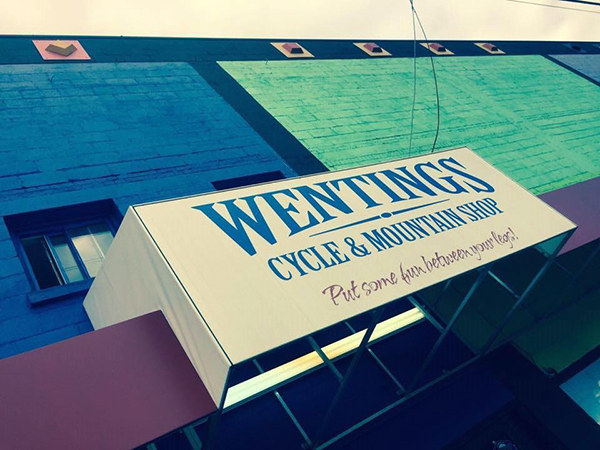 The name was changed to Wentings' Cycle Shop on December 1, 1978, 40 years ago. Plans took a major change when Doug was killed while racing the Tour of the North in Belfast, Ireland in April of 1979. Staff and family kept thing running until Bill took retirement from BC Hydro while Peg kept the books. Don, Bruce and Jim came in after school and as other jobs allowed. The original store was only 650 square feet and more space was needed, and a 1200 square foot location on the street front came available. In 1981, Bruce came on for the busy seasons, eventually becoming full time in 1984 just as a move to a 2500 square foot space came available. Over the years, the family kept up their attachment to the sport, assisting athletes with equipment and organizing events. On the walls of the current shop proudly hang jerseys from many great Canadian Champions, including Vince Hartmann, Alison Testroete, Ricky Federau and Svein Tuft, to name a few. The shop still has a strong commitment to the local Club with Spin Classes on Wednesday nights and Friday Night Shop Classes. Wentings Cycle and Mountain Shop today occupies 5200 square feet and employs ten staff, including Bruce's daughters Elizabeth and Kathleen. It operates seven days a week, including a satellite shop at the local Arena where patrons can grab a snack while having their skates sharpened. This December 1st, Wentings are celebrating the passage of 40 years by inviting supplier representatives, local dignitaries and clients old and new for cake, door prizes and raffles.